Dale Oxygen, Inc. was founded in 1939 by Harry W. Bennear at the age of 22. Prior, during the 1930’s Harry W. was a welder working in the Pittsburgh area of Pennsylvania. 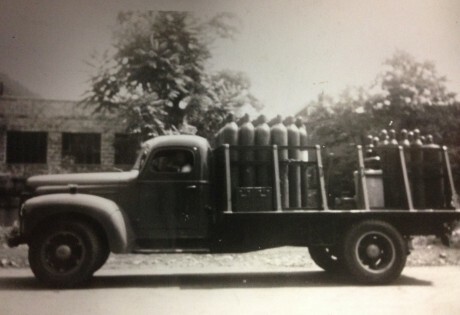 In 1937 Harry W. moved to Johnstown, PA to work alongside a close relative for the Air Reduction Company. 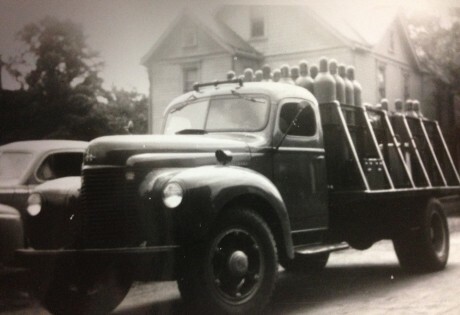 Through connections to the Air Reduction Company, Harry W. became an authorized Airco distributor and opened up for business in the Dale section of Johnstown. Harry W. began by selling and delivering Oxygen & Acetylene gas cylinders, oxy/fuel torches, and welding electrodes for welding and cutting applications. Harry W’s wife, Ruth, joined the company during the 1950’s to manage the books of the business; from accounting, cylinder records, and billing she became the backbone to support Harry and his efforts. With continued growth and success, Dale Oxygen outgrew the small shop in Dale and moved to West End of Johnstown, PA in 1953. The business operated at this location for 8 years, increased inventory to meet demand and had 3 trucks in the distribution fleet. 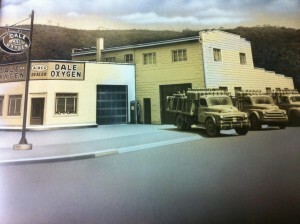 Dale Oxygen never stopped growing and the business moved for the 2nd time to the Hornerstown section of Johnstown in 1963. This location still serves as the headquarters for Dale Oxygen, the main cylinder fill plant facility, and is home to a 14,000sq ft. warehouse location to hold and stock inventory for the entire company. 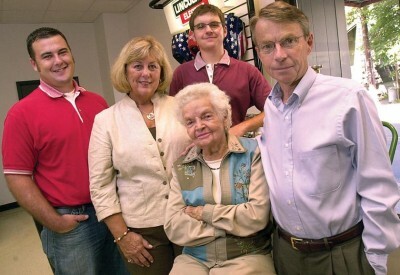 Harry W.’s sons, Dale and Harry D. Bennear joined the business alongside their father and mother during the 1970’s. Both sons started in the business from the ground up working in the fill plant, driving trucks, and fulfilling roles as account managers. Dale Bennear sadly passed in 1990 and Harry D. Bennear took on the role of President and still holds this position today. In 1990 Harry’s wife Mary Ann joined the operation and took on the similar roles that Ruth Bennear handled as well as managing the Human Resources department. Through a revamped growth initiative, in 1998 Dale Oxygen opened a second branch in Indiana, PA and in 2000 a third location in Altoona, PA. Today, both of these locations are full distribution branches including sales and cylinder and hard good deliveries. Harry D. Bennear’s two sons have since joined the gas & welding supply business, Chris Bennear in 1993 and Evan Bennear in 2004. In similar fashion to their father and Uncle Dale, they learned the ropes from the ground up, painting and filling cylinders, delivering product to customers, and ultimately moving into their present roles. Currently, Chris Bennear is Dale Oxygen’s Operations Manager and Evan Bennear is the Sales Manager for the business. Sadly in 2013 the matriarch of the business, Ruth Bennear, passed away at the age of 93, the employees at Dale Oxygen will never forget her many decades of dedication to the company and she will forever be remember as “Mrs. B”. Proudly, 2014 marks 75 years in business for Dale Oxygen and the future ahead is bright. Starting as a small distributorship in Johnstown, PA, Dale Oxygen has grown into a multifaceted regional leader and services focused provider for many key markets that drive our economy and create job growth. We look forward to fostering the business partnerships we have in place, helping our valued customers grow their businesses, and expanding our team to continue being the best family and independently owned gas and welding distributor in the area.